Movember is back. The leading global organization committed to improving the lives of men affected by prostate cancer, testicular cancer and mental health issues. Montreal's best barbers at Emporium Barber Shop wanted to get out there and try something new this year. 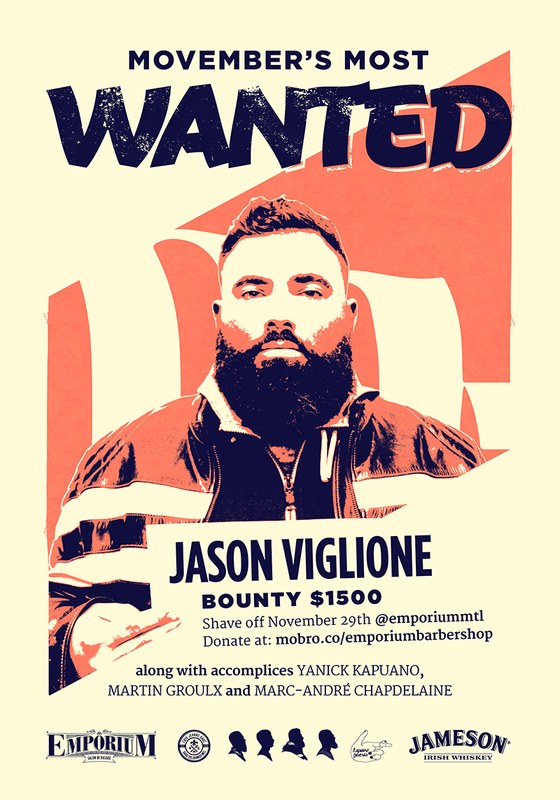 Besides offering complimentary shaves for Movember participants, they also organized four bounties on some of the island's infamous beards and moustaches. 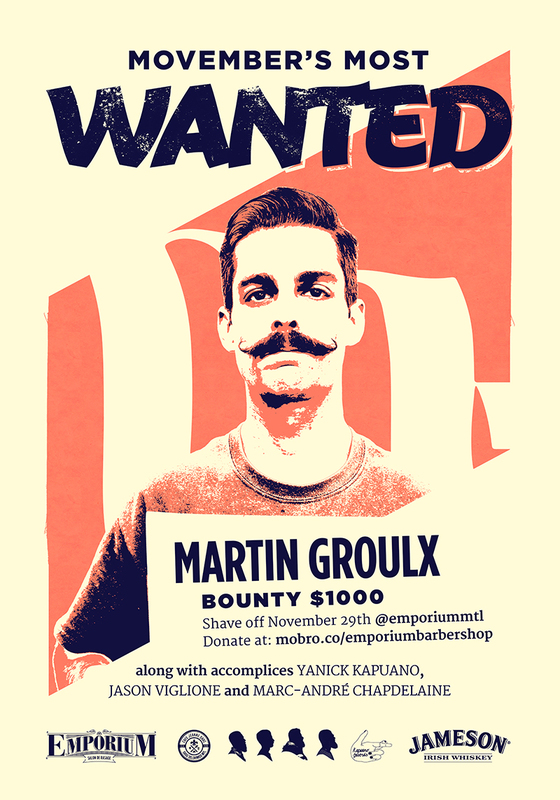 Each man would face the razor if enough donations were brought in to meet their "bounty". Alex at Emporium reached out to ask for a single poster showing the 4 donors and their bounties. But what about a 4 poster-series? We spread the guys around Montreal. Perhaps Yanick in the Old Port, Martin in Mile End? Forcing people to do a double-take when they notice the posters are not all the same and create more awareness for the event. The shave-off is on November 29th and you can ensure these beards are lost forever by donating here!